Congratulations to Thomas Brown - Rotary Richmond, TX's Newest Member. Kuddos to Jess Stuart, executive director at T.W. Davis Family YMCA for sponsoring him. Graduating from University of Houston and Texas A&M University-Commerce, Thomas is a principal investment advisor at RJ Capitol Investment Advisors. He is married to Misty Brown and they have a beautiful 7 month old son named Hudson. 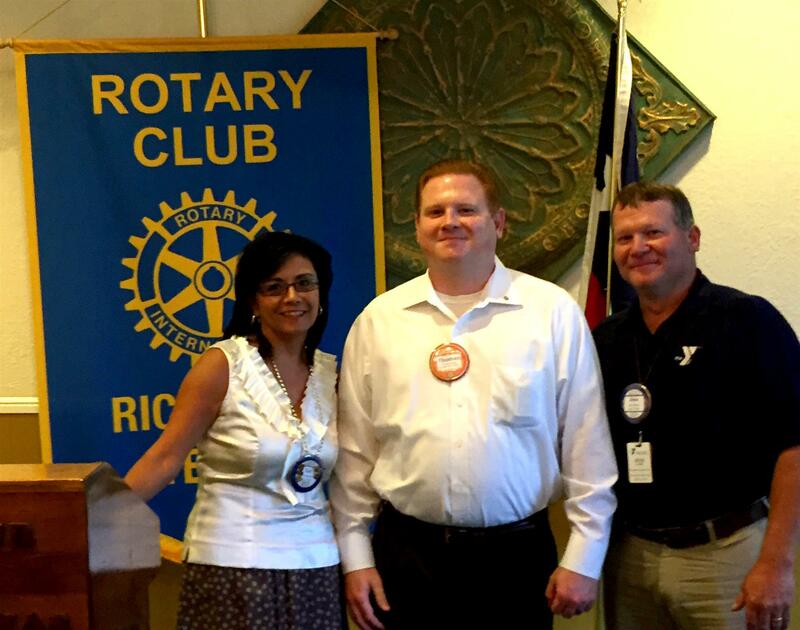 Please take time to welcome Thomas, Misty and Hudson to our Rotary family!